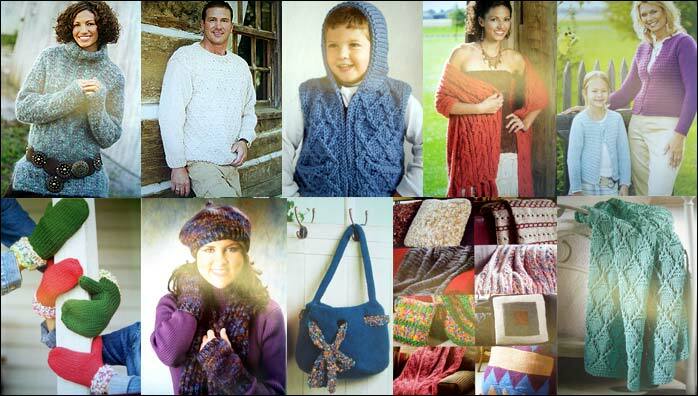 The Yarn Barn LLC: Big Needle Knits-ON SALE! Big Needle Knits is on SALE! Was $24.95 and now only $13. From House of White Birches, this book will give you quick results without sacrificing good looks! 10 patterns for the home, 17 patterns for the family, 8 wraps/ponchos and 11 quick gifts - a total of 46 patterns that will work up in a jiffy!